HONOLULU, Hawaii, September 5, 2016 (ENS) – Wildlife conservationists meeting in Honolulu for the IUCN’s World Conservation Congress are shocked and saddened by the release of the Great Elephant Census showing that numbers of African savanna elephants have declined by 30 percent – 144,000 elephants – between 2007 and 2014. The Great Elephant Census is the result of a two-year-long study, the centerpiece of which was an aerial survey, the first in 40 years, that covered nearly 345,000 square miles over 18 countries. Pilots and census crews followed strict protocols to ensure they gathered consistent data. The census was a collaboration between billionaire and Microsoft co-founder Paul G. Allen, his organization, Vulcan, and Elephants Without Borders, African Parks, the Frankfurt Zoological Society, the Wildlife Conservation Society, the Nature Conservancy, the IUCN African Elephant Specialist Group and Save the Elephants, as well as a long list of conservation officials in the countries surveyed. “As you’ve been reading this, poachers likely killed another African elephant for its tusks – an atrocity that takes place, on average, every 15 minutes,” said Allen. At least 20,000 elephants were killed in 2014 for their tusks, at a rate faster than they are being born, the census found. Relative success stories include Botswana, South Africa, Uganda, Kenya, and the complex of parks spanning the border of Burkina Faso, Niger and Benin. Conservationists say that now that the scope of the problem is known and locations where resources can do the most good are identified, authorities can become more effective in their approaches to eliminating the poachers. 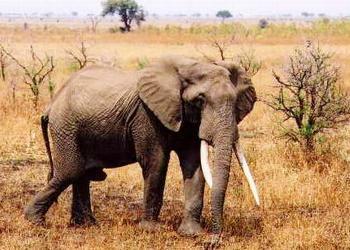 “Elephants are already locally extinct in my own country, Mauritania, and I do not want to see this happen anywhere else – an imminent possibility in Cameroon and Mali, and further down the line in other countries, unless we accelerate action,” said Thiaw. Thiaw sees reasons for hope, pointing out that elephant populations in some African nations are declining only slightly or even increasing. And support for tackling the crisis is increasingly backed by a growing public, political and private sector force for change – such as the Wild For Life campaign. “Across Africa, nations are starting to see that wildlife is worth more alive than dead, and that it can generate revenue, through tourism for example, to fund the education, health care and infrastructure that will improve human well-being and drive economic growth,” said Thiaw. The alarming results of the Great Elephant Census have raised the urgency of the fight against poachers to new heights. Bell is offering three urgent measures for immediate consideration. As the latest global conservation agenda emerges at the IUCN Congress in Honolulu, wildlife trafficking is among the key issues on everyone’s mind. This week, IUCN Members will debate two motions that address this critical issue. Recognizing, understanding and enhancing the role of indigenous peoples and local communities in tackling the illegal wildlife trade crisis is the subject of one of the motions. 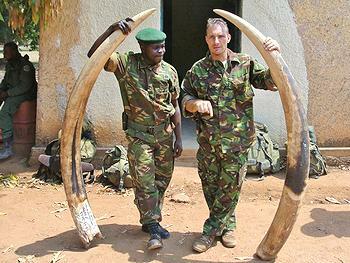 The second is a motion that encourages all governments to close their domestic ivory markets. The illegal killing of elephants for their ivory is a problem across much of Africa, and there is a call for countries around the world to close their domestic ivory markets in response. Yet, there is no unanimity among IUCN Members on the issue – a vote is expected this week.